Established CPA firm in Hickory, NC has a career opportunity for a CPA. Knowledge of Pro-Systems Tax, Trial Balance, and Fixed Assets is a major plus. Applicants must be strategic thinkers, adept in problem solving, possess a strong work ethic and pay special attention to detail while working in a fast-paced environment. 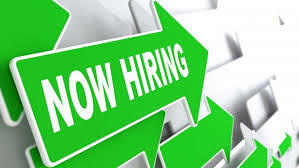 This job opening for a CPA will be open for a brief period of time. All resumes must be submitted and accepted by May 15, 2015. Extra hours are required during tax season.